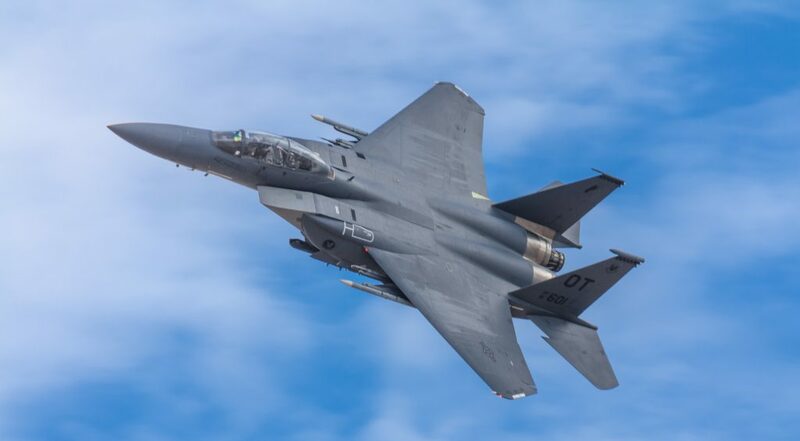 ST. GEORGE — Combat training exercises designed to increase the survivability of airmen in the U.S. armed forces will begin in southern Nevada this weekend, with flyovers possible in Southern Utah. 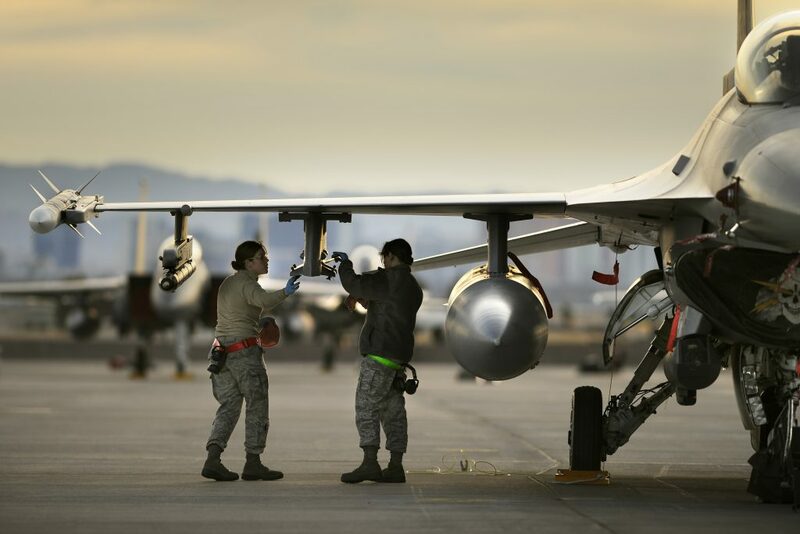 The Red Flag training exercises are coordinated at Nellis Air Force Base north of Las Vegas on the Nevada Test and Training Range. The exercises are scheduled to begin Saturday and continue through Feb. 15, with another training regimen scheduled for March 3-16. 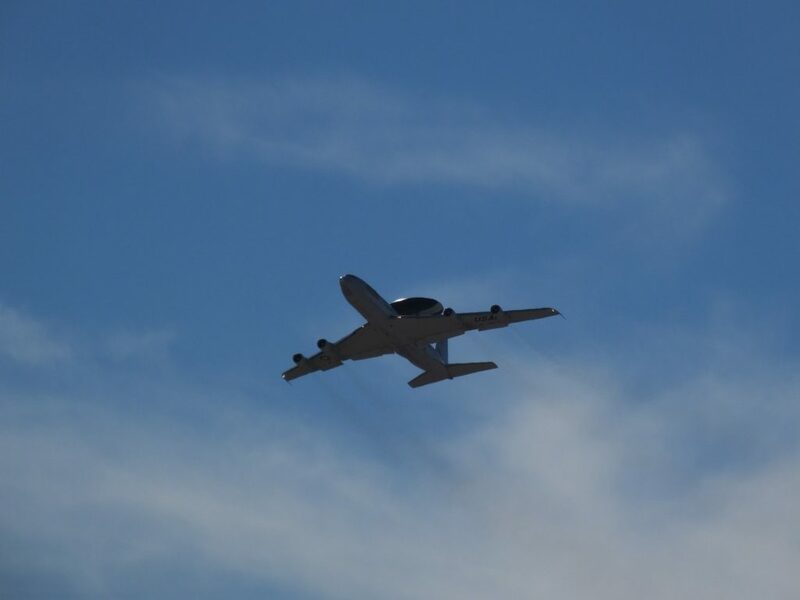 Aircraft will be launched daily at various times, including some night training operations. 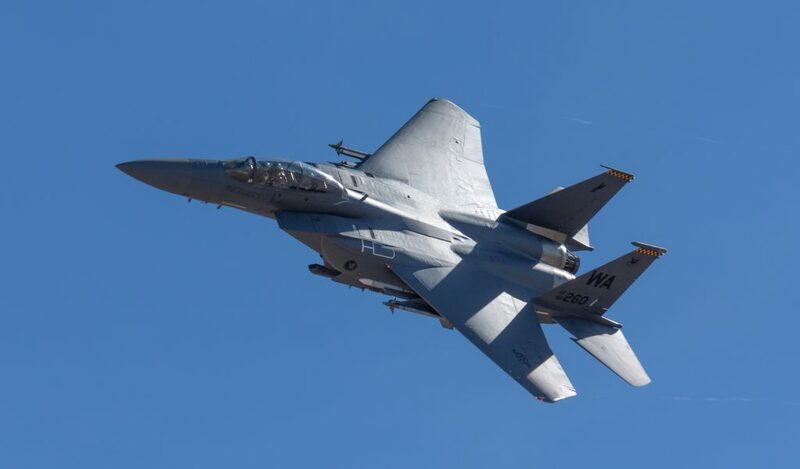 Aircraft have been known to fly over Southern Utah during the training exercises, often creating loud booms during flyovers and munitions testing. 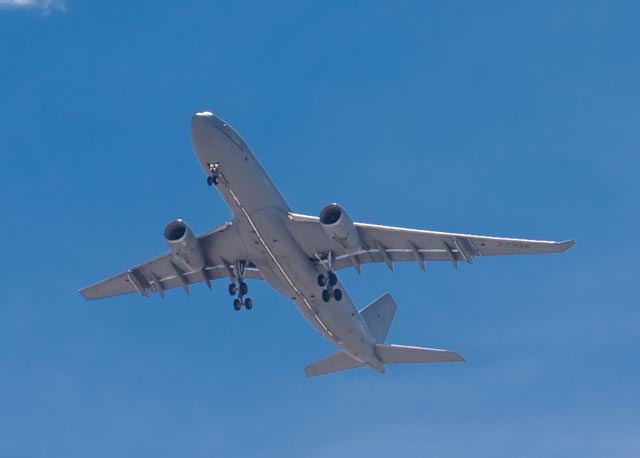 One SunRiver resident even complained of a broken window after an aircraft flew over his house during a 2016 Red Flag exercise. While they may have a penchant for rattling homes on occasion, these exercises serve as a vital training opportunity for service members. The Red Flag concept was established in 1975 to better prepare forces for combat. During the Vietnam War, the military recognized a pattern among pilots – those who survived their first 10 combat missions had a substantial increase in their odds for survival on subsequent missions. Red Flag was thus designed to expose pilots-in-training to simulations equivalent to their first 10 combat missions to instill confidence before ever being sent into actual combat. 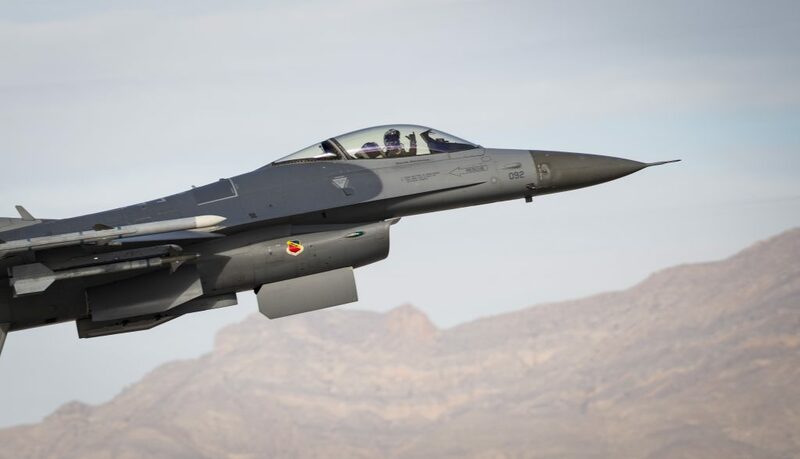 “Red Flag gives aircrews an opportunity to experience advanced, relevant, and realistic combat-like situations in a controlled environment to increase their ability to complete missions,” Nellis Air Force Base said in a news release. 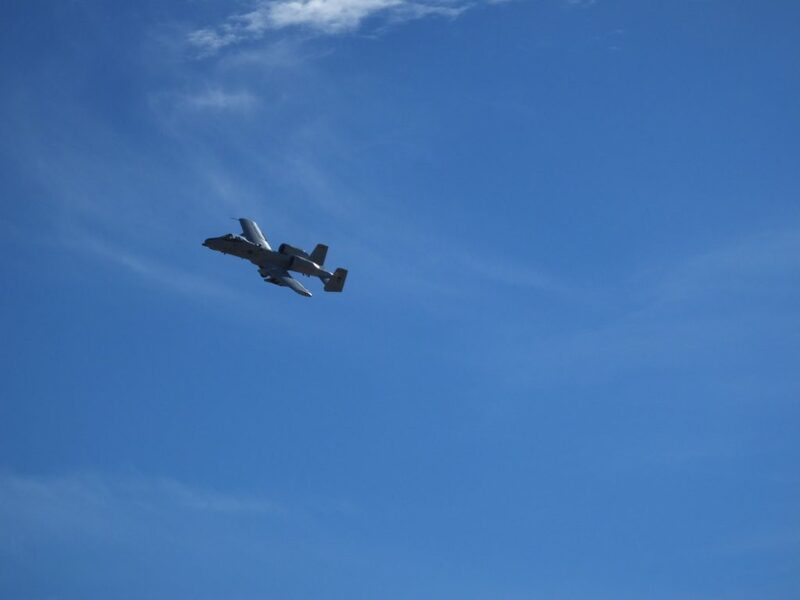 Mission training exercises can include air interdiction, combat search and rescue, close air support, dynamic targeting and defensive counter air. Trainees also attack simulated targets in the test range, such as mock airfields, vehicle convoys, tanks, parked aircraft, bunkered defensive positions and missile sites. 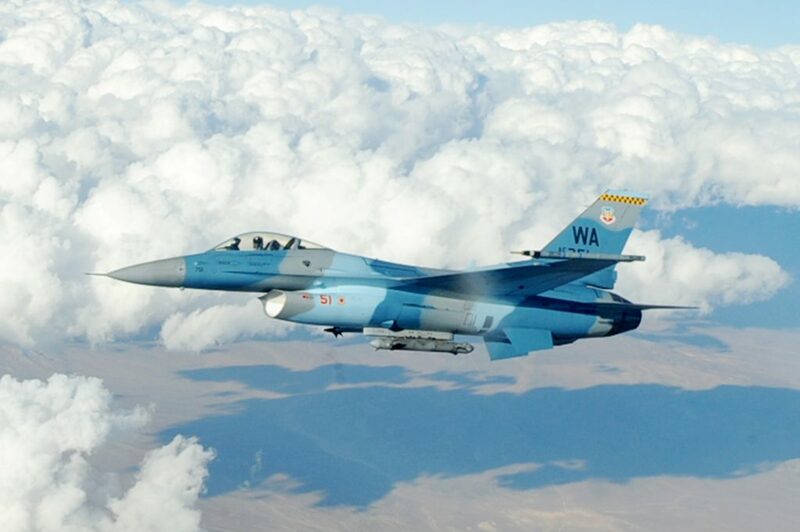 These targets are defended by a variety of simulated ground and air threats. 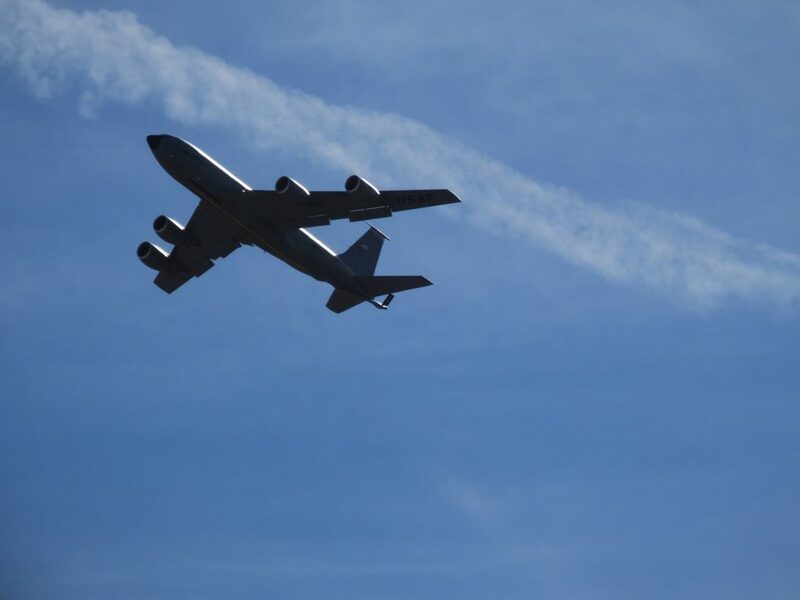 A wide variety of aircraft are typically employed during the exercises, including bombers, reconnaissance aircraft, electronic warfare aircraft, air superiority aircraft, airlift support, search and rescue aircraft and aerial refueling aircraft. 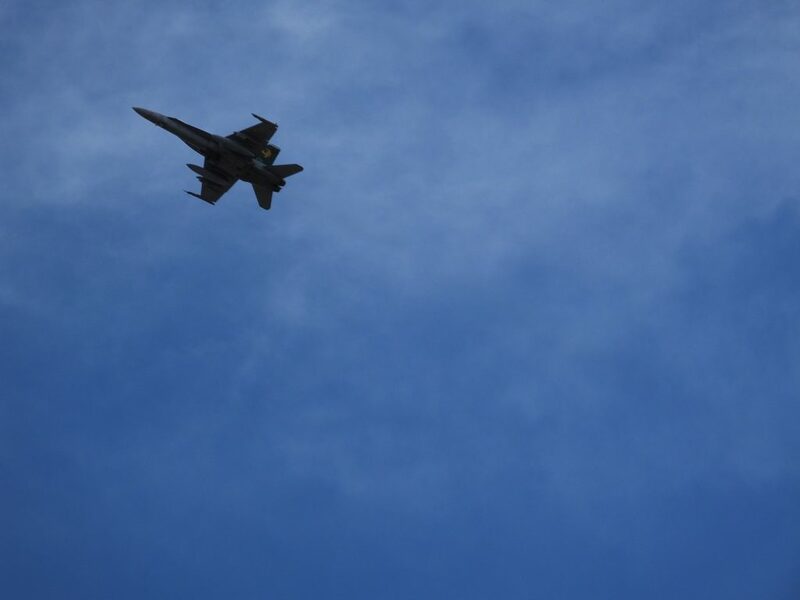 See examples of the aircraft in action during this year’s exercises in the gallery below. Some ground-based exercises are conducted as well, such as cyber missions. The training is not exclusive to the Air Force; all four U.S. military services and the air forces of other countries participate in the Red Flag exercises. Since 1975, 29 countries have joined the U.S. in these exercises, and several other countries have participated as observers. Since its inception, Red Flag has provided training for more than half a million military personnel. Loud is putting it mildly. I get the extra addition of being next to a mountain that traps sound and reflects the blasts back in my direction. Shakes the house, rattles the windows, scares the crap out of my dog. Some days I kinda like it, others not so much. They drop some large ordinance out there, for sure. Spending millions of dollars a day to bomb rocks and sand. Saving the world from the evils of rocks and sand one rock at a time, and what else? 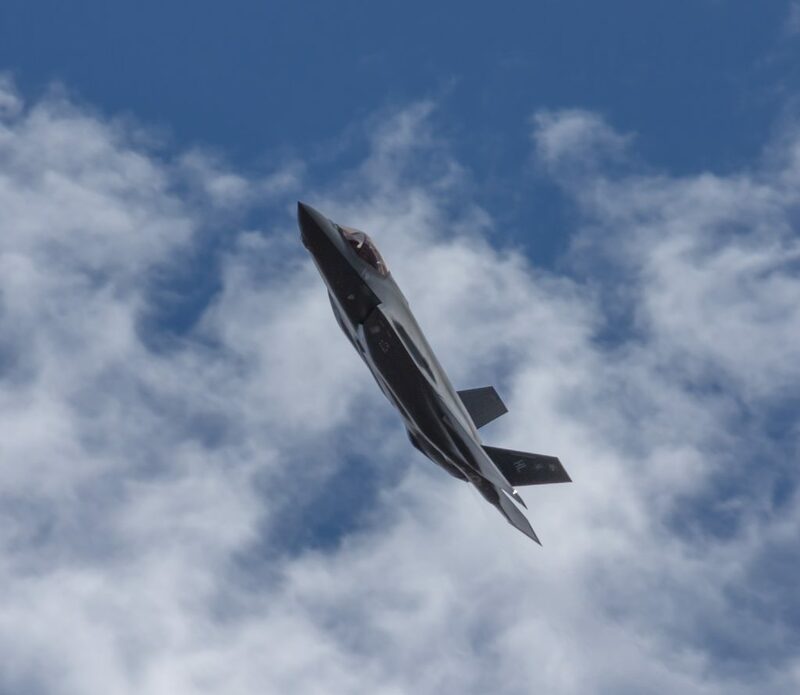 Manned fighter aircraft will soon be totally unnecessary if they aren’t already. The technology is already in place to completely replace them with drones. The sonic booms we hear signal the greatness of Trump. Those who dare attack our nation, shall be met with that greatness in all its glory, for Trump is the great leader and protector of our country. you are one strange dude, red. Trump caved. Better luck next time, fascist. He most certainly did not cave. Like I said before, Nancy may have won the battle, but she will lose the war. He caved, pal. HE CAVED HARD. You are fighting a losing battle. Something else for you to remember, Red. Yes iceplant! How could I leave out Obama too? I acknowledge Obama’s greatness of being a fool, and his great lack of leadership. Yes indeed, the greatness of his downfall! You remind me of the lyrics to the song Leper Messiah by Metallica. This song is actually based on the televangelists of the 1980s but the lyrics are so appropriate right now. So what I got out of that whole thing, is thank goodness I never had blind devotion to Obama like the rest of the fools did. Thank goodness we have Trump in office to undo all the damage he did! The blind devotion is you. To your orange muppet.